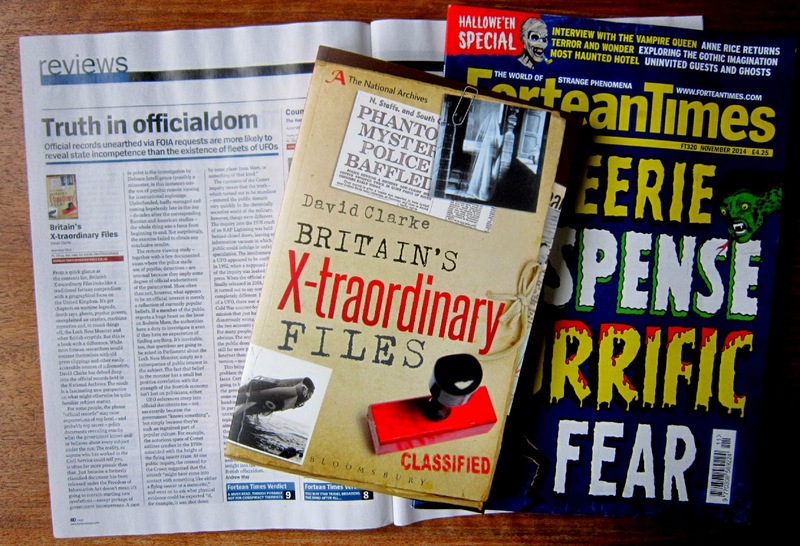 A couple of months ago the publishers of David Clarke’s new book, Britain's X-traordinary Files , sent me an advance copy to review on this blog. That was very flattering, but the fact is my blog has quite a small audience and I thought perhaps we could do better than that. So after discussing with David, I sent the review to Val Stevenson at Fortean Times, and she’s been good enough to publish it in the current issue (as pictured above). But just to close the loop, I thought I’d say something about the book here since that’s what I was originally asked to do! I’ll try not to repeat myself too much, since I know that a lot of people who follow this blog also subscribe to Fortean Times (and you can probably read a good part of the review by zooming in on the image above). The bottom line is that this is an excellent book, based around a very clever concept. At one level it’s a perfect example of “Retro-Forteana” – a compendium of strange phenomena and unusual occurrences with a distinctly nostalgic flavour. There are familiar tales that can always bear retelling, from the Mary Celeste and the Angels of Mons to the Stone of Destiny and the Loch Ness Monster. There are Victorian ghosts, 1920s death rays and Cold War close encounters. But there’s a novel element too – a Unique Selling Point that makes the book stand out from countless others. The facts are sourced not from personal anecdotes and silly-season press clippings, but from official documents held at the National Archives – including many that were only reluctantly released to the public under the Freedom of Information Act. 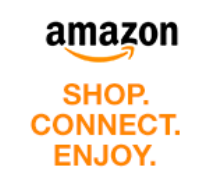 I gave the book a 9 out of 10 rating. Why only 9? Well, from my own personal perspective it’s worth a 10, but then I’ve worked in the Civil Service so I had a fair idea what to expect. I know that “officialdom” isn’t a monolithic, super-competent robot that knows exactly what it’s doing. It’s made up of tens of thousands of individuals who are doing a 9-to-5 job to earn money to pay the bills. Some of them – quite a lot of them, actually – are borderline incompetent. In the old days (before my time, sadly), the British Civil Service was a “job for life” – there was little chance of being fired, and equally little chance of being promoted. People simply weren’t incentivized. They made mistakes, they overlooked the obvious, they frittered away their time, they followed personal hobbyhorses. Some of them believed in ghosts, or dowsing, or witchcraft; others were outright skeptics, while others were practical jokers. In other words, “They” are people like everyone else. Not everyone accepts this. Conspiracy Theorists, in particular, refuse to believe it. To them, “They” are tireless, super-competent, virtually infallible drones, relentlessly adhering to a sinister agenda set down by the Illuminati centuries ago. It’s inevitable that Conspiracy Theorists are going to be attracted to a book called “Britain’s X-traordinary Files” ... and equally inevitable that they will be disappointed by it. So that’s why I marked the book down to a 9 – because I can see that some readers who consider themselves the book’s core audience aren’t going to like it. Some people will say the book is just a smoke screen designed to hide the real truth. That’s terribly unfair to David Clarke, who has done a first-class job scouring through masses of almost unreadably dull material to find the gems reproduced here. It’s unfair to human nature, because it paints history as a black-and-white “Them versus us” conflict, when in fact “They” and us are members of the same species, with all the same shades of grey from mindless belief to mindless skepticism, and from super-competence to gross incompetence. I’m not saying there aren’t any shocking revelations tucked away in secret government vaults, well away from the prying eyes of the Freedom of Information Act. That’s not an irrational suggestion, and I’m sure it’s true. What is irrational is to suggest that any official document that doesn’t contain a shocking revelation (of anything more sinister than government incompetence) is a deliberate falsification designed to conceal the Truth. Thanks Colin - I agree completely. Wouldn't it be great if our politicians really were as efficient and organized as the Conspiracy Theorists make them out to be! The 9/11 false flag op was not engineered by "politicians" you know. If you look on the back page of the issue of Fortean Times that I referred to in this post, under "Coming next month", the teaser right down at the bottom says "False Flags". That's an article by me - all about false flags ops throughout history. The phrase may have been tainted in the 21st century by association with Conspiracy Theorists, but as a pragmatic strategy it's as old as warfare itself - and it works, most of the time. It's as old as the hills and still very much in use - a notable recent example would be the downing of flight MH17 being blamed on the Russians and their proxies for geopolitical purposes when in fact the evidence points to some other group. The cabal that "did" 911 were a conglomerate of Mossad operatives, plants within our own defense establishment - notably Cheney, Rumsfeld, Dov Zakheim et al. The so called "terrorists" who were miserable pilots were not in the mix at all. The jets were electronically hijacked and guided precisely to their very pinpointed targets - very specific pre-prepared parts of the two big towers. WTC7 collapsed later in the day due to controlled demolition. By now, anyone who does not know this is either intellectually lazy or willfully claiming ignorance. Thanks - interesting thought about MH17. The biggest clue is when an event like this backfires so badly on the supposed perpetrators (in this case Russia), and plays so perfectly into the hands of their enemies (Western governments and media)... as was certainly the case with MH17.